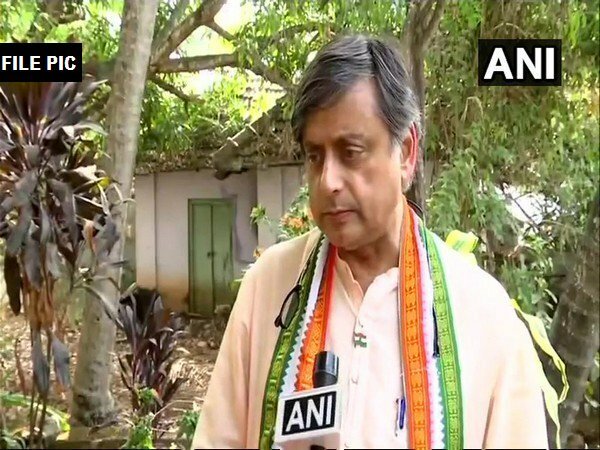 Thiruvanathapuram (Kerala) [India], Mar 20 (ANI): Lok Sabha MP Shashi Tharoor filed a complaint with the Kerala Chief Electoral Officer against Bharatiya Janata Party and Sabarimala Karma Samithi accusing them of making the malicious attempt in a bid to appeal to religious sentiments of voters. Tharoor in his complaint asserted, " I am writing to file a complaint in relation to a malicious attempt by BJP and Sabarimala Karma Samithi to vitiate free and fair polls in Thiruvananthapuram LS constituency, by publicising materials in a bid to appeal to religious sentiments of voters." Tharoor filed the complaint after fliers were distributed in his constituency accusing Congress and communist parties of harming the interests of the devotees of Sabarimala temple. Earlier, BJP had filed a complaint with CEO Meena against Tharoor for violating the Model Code of Conduct after the posters featuring Malayalam and English editions of his books including ‘Why I am a Hindu’ showed up. However, Tharoor denied the allegations and said that the posters have not been put up by him.